There seems to be a clear color code in my latest acquisitions, it’s great since everything goes well together. I have no idea where this new mellow mood came from, but I feel great in light beige, khaki and mint tones. But what I lack in extravagant colors, I make up in patterns and structure, mixing velvet, metallics, glitter and shiny fabrics. That way I can wear a monochromatic outfit, without it looking homogenous or plain. 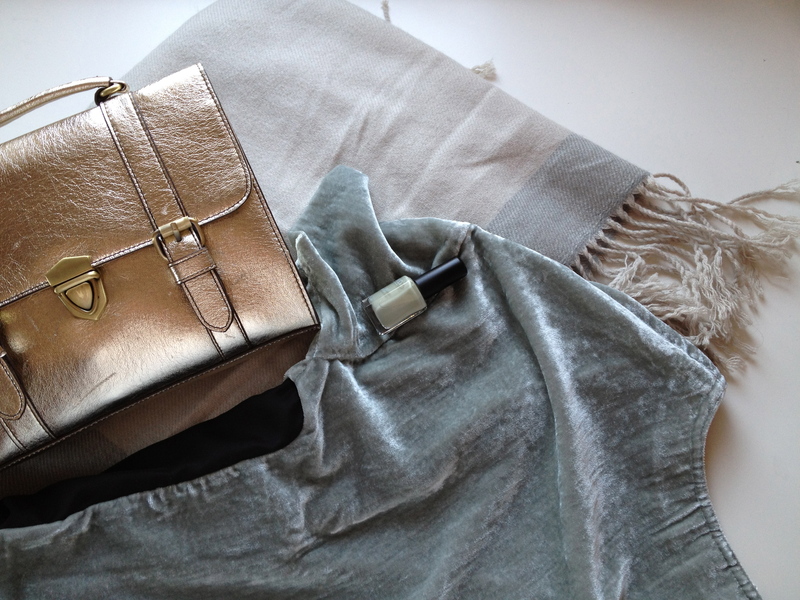 The metallic satchel was a gift for my birthday, my sister ordered in on asos, the velvet top is from 3suisses, scarf from weekday (sooo cozy) and the nail polish is from Kiko.